After several days hoping for the clouds to pass and the pelting rain to subside, we were lucky enough to wake up to blue skies on the day of our heli hike on Fox Glacier. We had driven here from Punakaiki on the west coast and thankfully had allowed a few days for the hike before we needed to make it to Lake Wanaka – a decision we thanked ourselves for later when we realised how temperamental the weather is in this part of New Zealand. 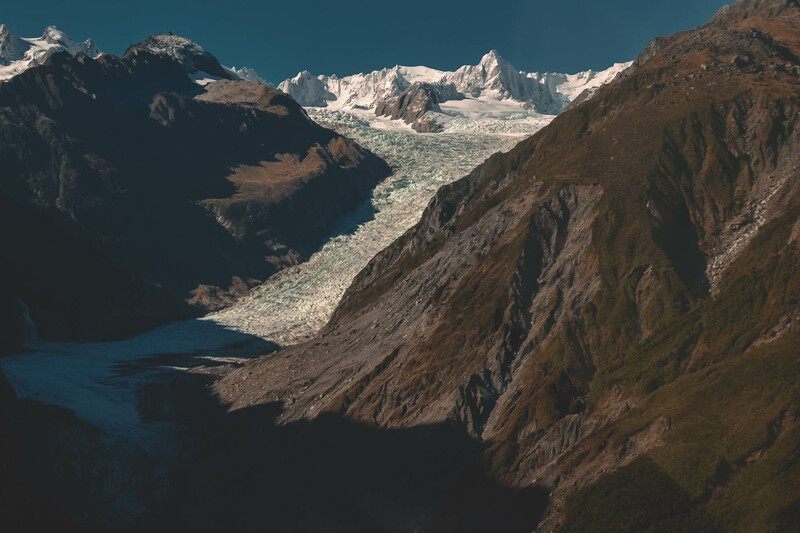 The two main glaciers in the region are the Franz Josef and Fox Glaciers and both can be explored up close and personal on foot, but can now only be reached by helicopter due to the speed of the melting ice that plunges into the rainforest below. 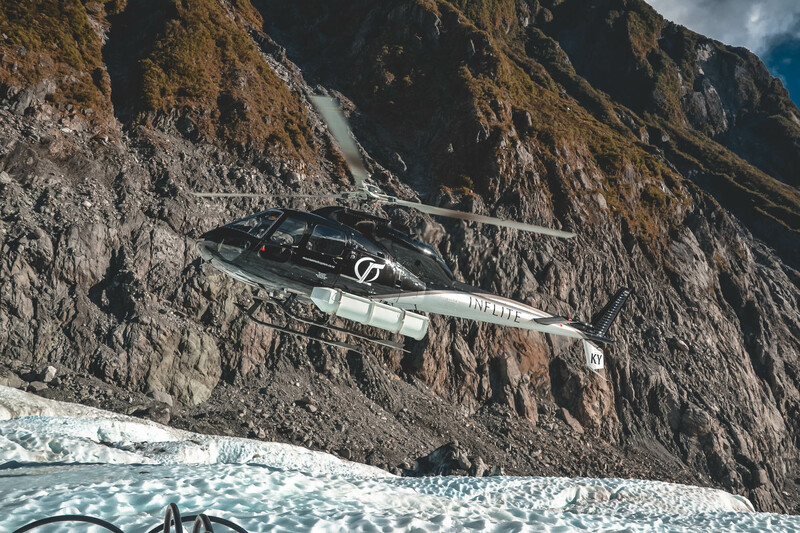 Two rival companies run similar heli hike experiences, but we ended up booking spaces on the Flying Fox: Heli Hike trip with Fox Glacier Guiding. 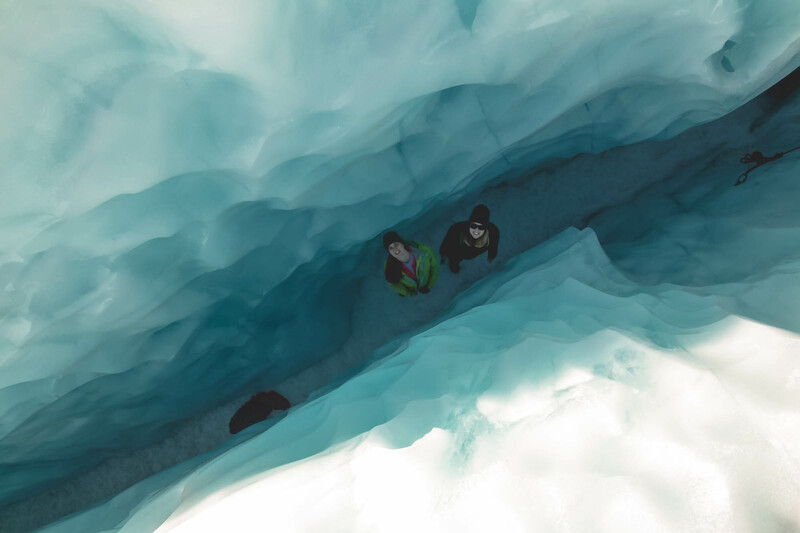 We couldn’t wait to see the Fox Glacier, snaking down from the Southern Alps, up close. Following a safety briefing, we got separated into groups for the heli trip, which takes around 10 minutes to reach the glacier. As soon as we were strapped in the real fun began and we were immediately greeted with the most spectacular views of the Alps and the lush valley below. 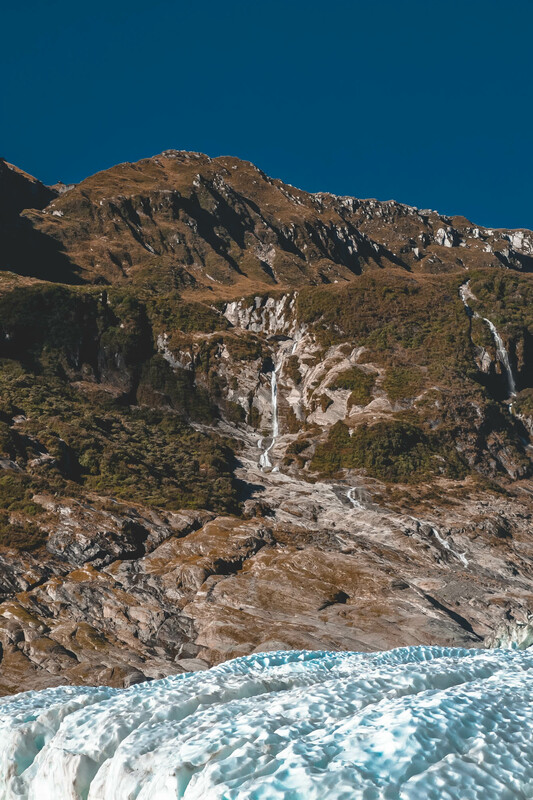 After a few minutes of soaring through the mountains and enjoying the panorama that stretched for miles, the majestic Fox Glacier came into view… We couldn’t quite believe we were going to land on the cascading ice. As we approached closer, we saw the rest of our group and the small landing site, 800 metres above sea level. Here we met our pick-axe wielding guide for the day, John (whom we named Jon Snow for the day, naturally). We fitted crampons and got used to the sensation of walking on the ice before our groups separated and we began our exploration. 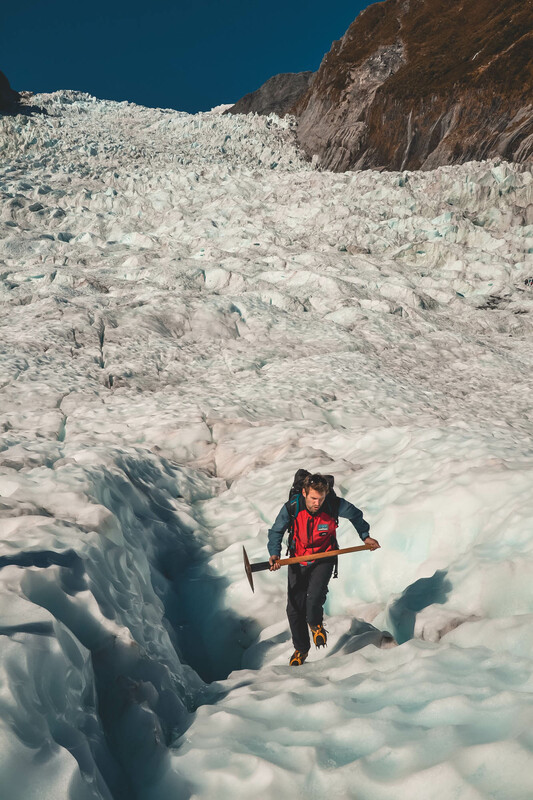 As the 13km-long glacier is constantly moving and changing, the guides do an amazing job of cutting away new routes and navigating the ice every morning and, luckily for us, there were plenty of arches, crevasses, caves and moulins (sinkholes formed by surface water) to explore for the next hour and a half. The experience is less of a ‘hike’ and more of a fun obstacle course in a giant, icy playground – so we didn’t find it challenging physically. 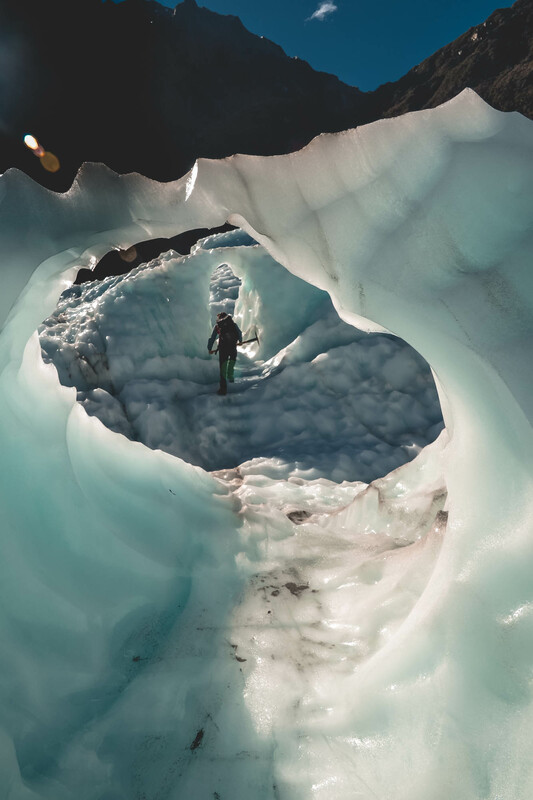 We got to explore the amazing natural ice sculptures, squeeze ourselves through winding passages through the ice and even see what it was like to walk at the foot of a crevasse. It’s not every day that you get to experience such a remote and magical landscape. 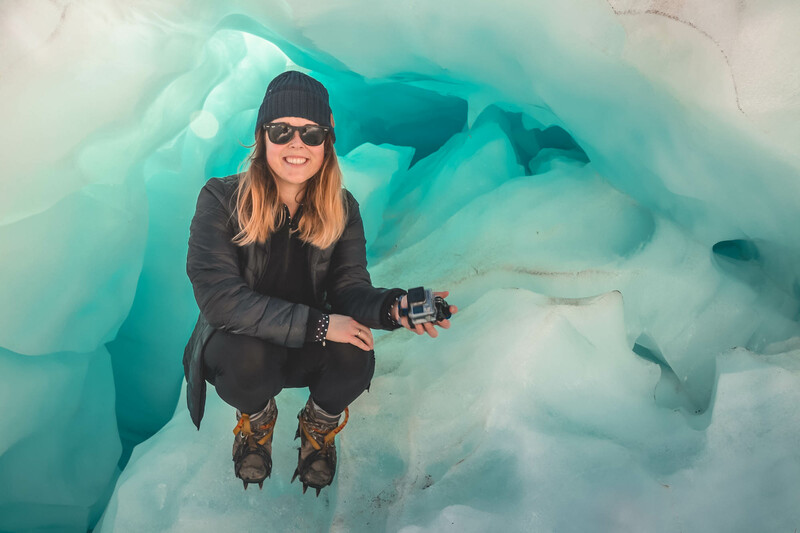 Despite the fact that it’s very much on the New Zealand tourist trail, we still felt like we were somewhere incredibly untouched by man – nothing is left behind once the helicopter departs and the ice continues its journey. 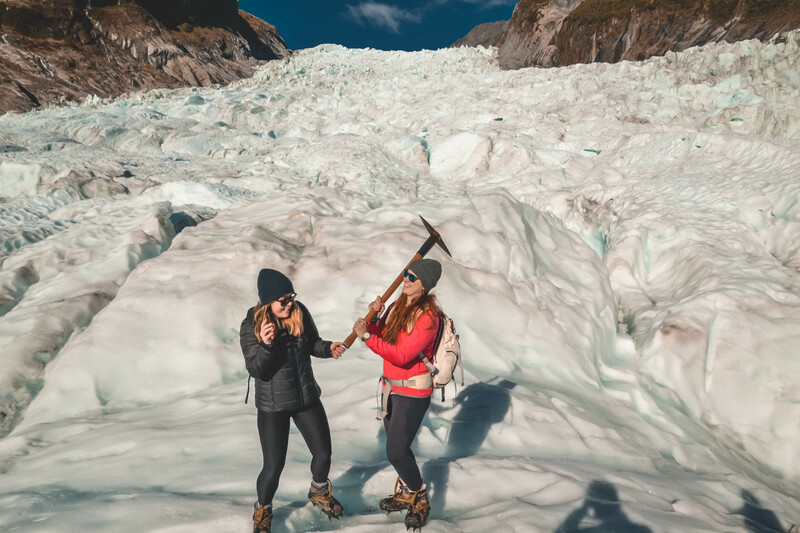 The Fox Glacier heli hike tour was well worth the expense ($425) and was one of the highlights of our whole New Zealand trip. We definitely got the ice climbing bug! 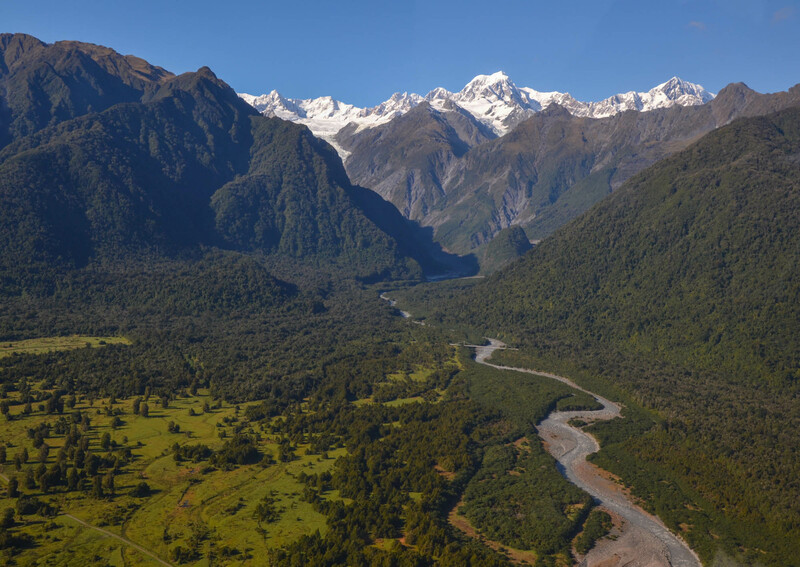 Have you been to New Zealand’s glacier country? Comment below! Looks like you guys had a real blast on Fox. Any particular reason why you chose Fox over Franz Josef? We recently did the Extreme Fox which allowed us to explore a little ‘off track’ and we also got the chance to ice climb and abseil – it really was an epic day. Next time, Franz Josef. It was all down to the weather! 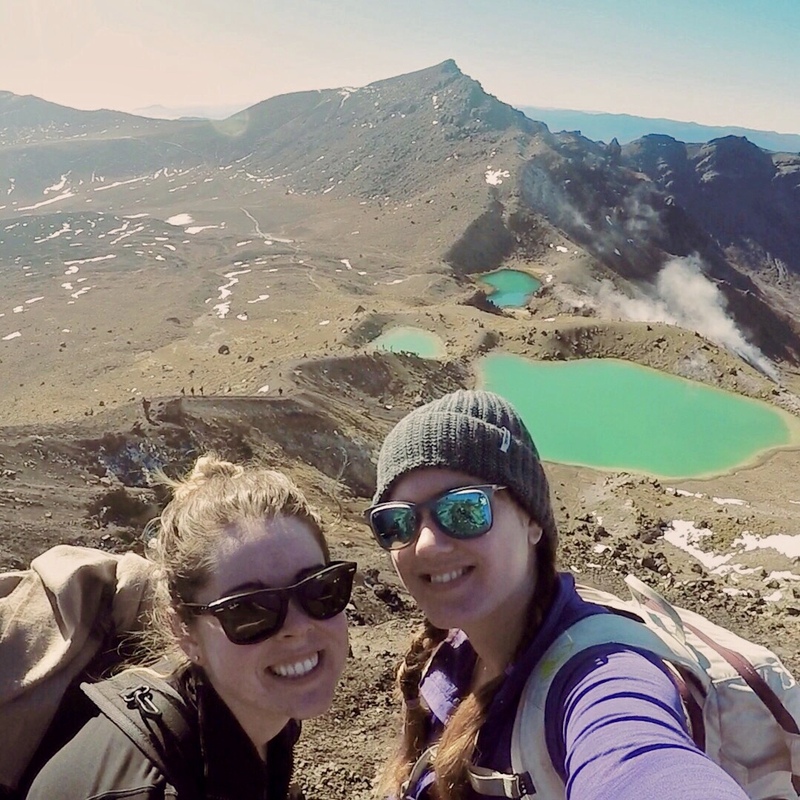 We were originally booked into Franz Josef (which I heard is amazing!) but our booking was cancelled due to bad weather. Their next availability wasn’t til a few days later and that would have messed with our road trip schedule. Thankfully Fox has two spots left for their hike the next day and we were blessed with good weather! 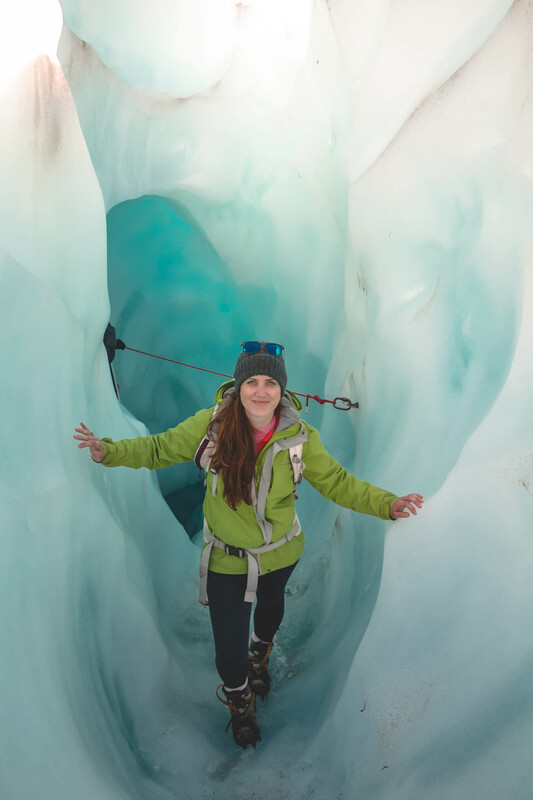 Definitely going to try Franz Josef next time too!